Amman- Talal Abu-Ghazaleh University College for Innovation started receiving applications from students wishing to register for the academic year 2018/2019. The University College recently got approval for introducing the MBA program and bachelor's programs in Business Administration and Computer Science from the Accreditation Council of the Ministry Higher Education. In order to encourage outstanding students, those who achieved an average of 98% or higher in the General Secondary Education Certificate are awarded a full scholarship, while students with an average of 90% or higher are given a 50% scholarship. 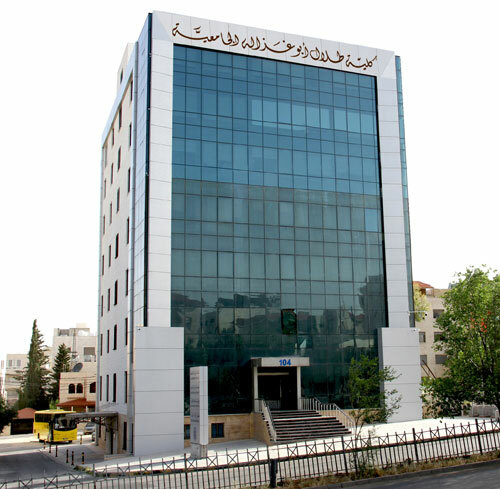 Talal Abu-Ghazaleh University College for Innovation is specialized in business administration and information technology. It is the first of its kind in Jordan that focuses on the development of innovation and creativity. H.E Dr. Talal Abu-Ghazaleh said that the establishment of a university college that graduates inventors is what all countries need in the meantime, indicating that the basis of its work is to graduate students who will contribute knowledge innovations. H.E. Dr. Abu Ghazaleh also emphasized that focusing on creativity and innovation is instrumental to the creation of a society that produces knowledge, ensuring the transformation from a civil state into a creative one. The University College aims at making a comprehensive change in the higher education system in the Arab and the entire world.